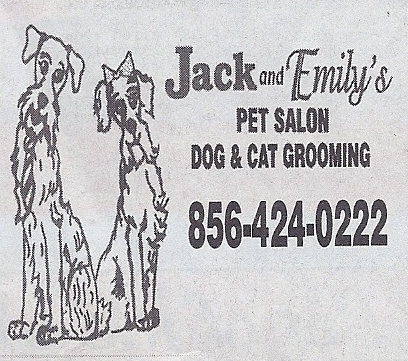 Pets groomed at Jack & Emily’s Pet Salon are treated like a family member. Pride is not only taken in our grooming of your pet, but the care and play time we give them. Most pets are not crated unless they don’t get along with others. We feel there’s more to grooming than a well-maniucred pet. Time is always taken to make them feel this is their home away from home. Just stop in to say hello to get acquainted and see for yourself! We have been in the pet grooming business since 1967. First in the Barclay Shopping Center, then on to Route 70 in Cherry Hill and now we’re located in Voorhees in Avian Plaza under the new name, Jack & Emily’s-named after my grand kids. The National Dog Grooming Association Of America. Give us a try. You're pet will love us!